Machine weight 21 kg or 46 lb. Frix Air is a professional machine for preparing a whole range of imaginative dishes from appetisers to desserts. Prepare mousses, sauces, creams, soups, ice creams, sorbets and even cocktails. Nemox strongly supports the “made in Italy”, keeping design, engineering and manufacturing of its products in Italy. Since its foundation in 1986 to today, the company has produced over 6,000,000 gelato – ice cream makers that have expressly been developed to meet the needs of professional caterers. 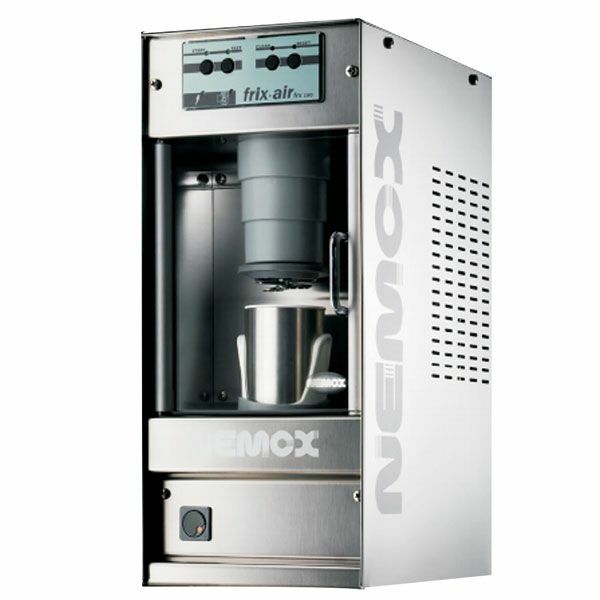 Today Nemox is a leading world-wide manufacturer of gelato, ice cream and sorbet machines – a goal achieved thanks to innovation, quality, functionality and a wide range of machines.